The Bristol 404 and 405 were a 2-door coupe or a 4-door sedan/2-door convertible, respectively. In 1958, they gave way to this, the 2-door 406 coupe. Naturally, it would be replaced by the 407 in 1961. The 406 was the final Bristol to use the, by then, antiquated BMW-based 2.2-liter straight-six. While the engine was larger than in previous models, the power output was unchanged at 105 horsepower, which left the Bristol in the dust of most of its competitors. So the company had to make up for it in luxury and engineering. For instance, it was one of the first cars to receive 4-wheel disc brakes. The 406 is not all that rare by Bristol standards, with a whopping 174 units produced in its short production run. This nice example is selling at no reserve. Click here for more info and here for more from H&H Classics. 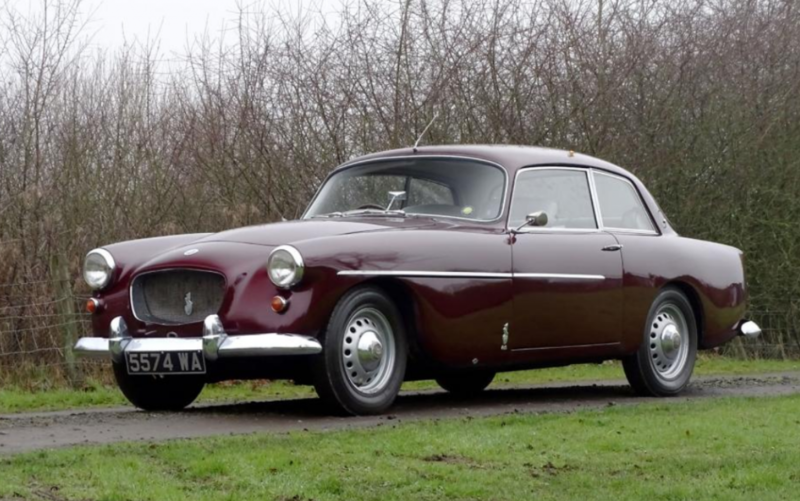 This entry was posted in Uncategorized and tagged 1961, 406, auctions, bristol, cars, classic cars, h&h auctions by classiccarweekly. Bookmark the permalink.